The 25 Best Piano VST Plugins (FREE Downloads Included)! Are you looking for the best piano VST plugins to use in your own productions? If so, you may quickly realize that there are seemingly endless choices when it comes to piano VST plugins. Each one has their own strengths and weaknesses. However, choosing the right VST to fit with your production style is key. Each piano has its own timbre with each timbre being best suited for different production styles. For example, the type of wood used in a piano can make a huge difference in the way a piano sounds. Therefore, it would make sense to choose a piano VST that is best suited to your production style for best results. So to help you find it, we’ve listed out 25 of the best piano VSTs for 2017. And to get us started, let’s first go over what makes a piano VST the best out there. Before getting into any of the features of the various piano VSTs, it’s important to remember that there is not one piano VST that will suit every producer. Your music production needs differ from others, and you will need to take that into account when considering the features that you’re looking for. For example, if you’re producing trance, you may want to look for a slightly more realistic sounding piano VST plugin. This is just one of the many elements to look at, though. Why is the type of piano VST important? Piano VST plugins come in two types. They’re either synth or sample based. Understanding the benefits of a synth based vs. sample based piano VST will help you decide which one is the right for you. Synth based piano VST plugins tend to have a smaller file size, are more customizable, and don’t require a software sampler in order to run. However, they tend to sound less realistic than sample based piano VSTs. On the other hand, sample based piano VSTs often sound much more realistic and high quality. One detraction of a sample based piano VST would be that file size can be huge. In addition, they often have limited customizability and a sampler software may be needed. How does customizability affect my choice? Sometimes having more customizability is a good thing. You may want to pick a piano VST with more features available if you’re looking to create a unique sounding piano. In other cases, a traditional piano VST is all that you need to get the job done. If you find yourself in this situation, having less clutter and fewer settings can get you started producing faster and benefit your workflow. What’s a good price for a piano VST? The good news is there are plenty of amazing piano VST plugins out there. Want even better news? Some of them are completely free. But if you don’t mind spending some cash, there are a wide range of paid piano VST plugins for you to choose from. In this case, the amount you should spend will depend on your situation. If your production is ready for a higher quality piano VST, then spending some money may be in your best interest. On the other hand, if you’re just learning how to produce music, it may be better to start off with a free piano VST. Compatibility is always important when it comes to software. We always recommend that you check if the software you’re considering downloading or purchasing will work with your operating system and digital audio workstation (DAW). It’s also important to check whether a VST will require the use of an iLok (license management) in order to run. If everything checks out, you should be good to go with your newest piano VST! Now that you know what to look out for, let’s get started going through 25 of the best piano VST plugins we’ve found for you! While other plugins may cast a broader net, TruePianos is designed to focus solely on the piano. It comes with five different modules which represent five different types of pianos. Each module comes with different presets which allow you to change the piano’s character with ease. And although not as customizable, TruePianos makes for a great VST for getting started quickly. It, of course, has the standard settings such as reverb, velocity control, and output level available. In addition, TruePianos uses a method of digital sampling, rather than synthesis or regular sampling. This allows you to save space on your computer while still maintaining a relatively realistic piano sound. Interested in learning more? Take a listen to their demos here before deciding to purchase. 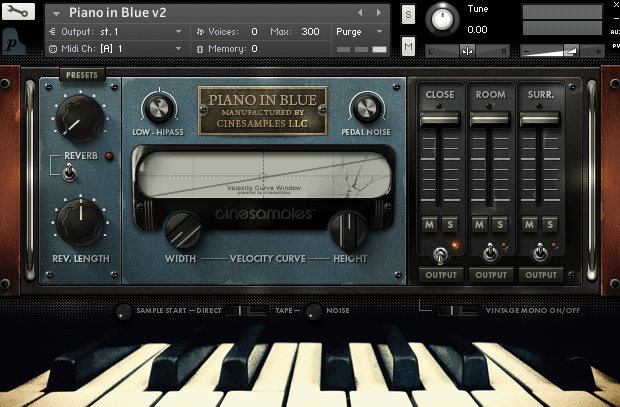 If you’re looking for a story behind the VST you’re using, then Piano in Blue has you covered. Piano in Blue was sampled from a Steinway Model D Concert Grand, which was formerly housed in the historic Clinton Recording Studios. While housed there, the piano played a role in many influential recordings over the years. Just before the recording studio was shut down, CineSamples came and sampled the grand piano. And now, it’s available for your use. There are three different microphone positions that are adjustable to allow for replication of an in-person experience at the recording studio itself. Additionally, you can find more standard settings such as reverb, low/high pass, and more. If you want to learn more about Piano in Blue, visit the website here. Pianoteq is a force to be reckoned with. There are three different versions made for different purposes, but they all use synthesized sound which sounds highly realistic. Pianoteq Stage 6 is their ‘starter’ version, which allows for musicians to quickly choose from a selection of beautiful instruments. Their standard version allows for sound shaping with an array of complex settings such as editing hammer hardness, noise, and strike point. In Pianoteq Pro 6, their highest tier, note editing is also featured which allows for note by note adjustment of more than 30 parameters. If you’ve been producing for a while and love using the best piano VST plugins, Pianoteq would be great to upgrade to. To see the incredible customizability that comes with Pianoteq, check out their website here. If you want to get the most out of the money you spend, Addictive Keys will help you achieve that goal. It’s a sample based piano VST with amazing quality sounds and is still relatively affordable. In addition, there are multiple piano packs that you can add-on that allow you to use an array of pianos in your production. Examples can include the “Modern Upright”, “Studio Grand”, or “Electric Grand” packs with each having its own focus. Within the plugin itself, there are multiple settings available that let you fine tune your sound. For example, there are various pedal adjustments that can be made as well as tweaks to pitch, filter, microphone types and positioning, and volume envelopes. Addictive Keys also includes a small suite of audio effects that include a phaser, tremolo, basic filters and an equalizer. To learn more about what Addictive Keys has to offer, click here! 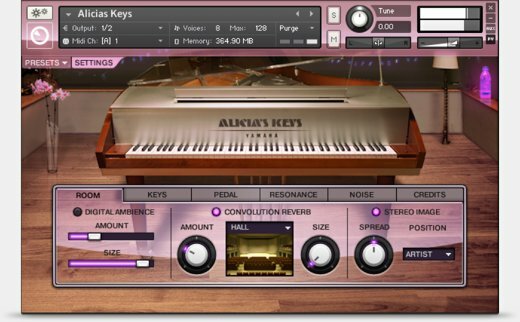 Alicia’s Keys is another great sounding piano VST plugin at a budget-friendly price. It utilizes a grand piano sample and does a great job of it. Unfortunately, the file size is rather large and may require more processing power than other piano VST plugins. The settings are very easily used and are sorted by various tabs such as room, keys, and pedal. Each of these tabs have settings that are clearly and distinctly shown as seen in the image above. Alicia’s Keys sounds great, is relatively affordable, and has an easy to use interface. If these traits are high on your priority list, then this may be the right piano for you. But if you still need more information on Alicia’s Keys, visit Native Instruments. Similarly to Alicia’s Keys, The Giant is another piano VST created by Native Instruments that features quality sound for a reasonable price. Additionally, The Giant also has a very simple, intuitive interface. Features are large, and it’s easy to tell what each setting does. 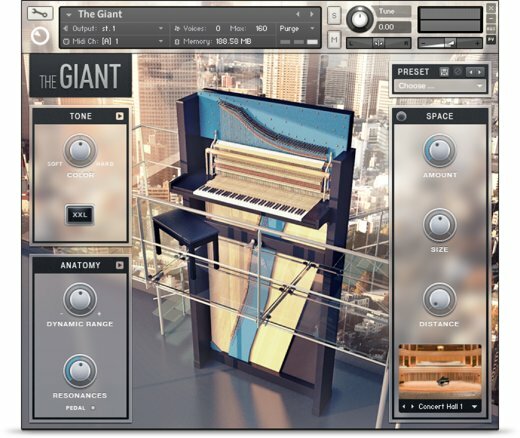 Aside from sampling the largest piano in the world, The Giant also features a cinematic mode which can be a huge help if you’re scoring a film. To learn more, visit Native Instruments. Remember how file space can be an issue? Well, Ivory II Grand Pianos takes the cake on that. It requires a huge 22 GB of free space at least. However, this plugin may just be worth the loss of space. The samples are extremely realistic sounding in this piano. Additionally, with the vast number of settings available, you’ll be able to fine tune with ease until you get the exact sound you want. 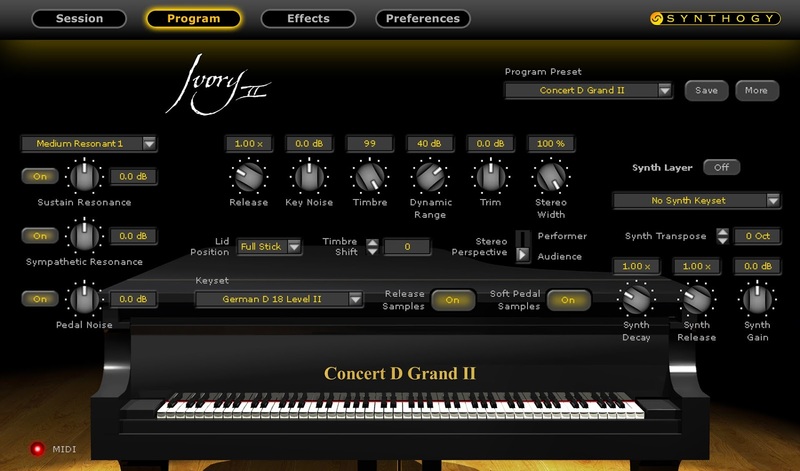 It is a little pricier than compared to other piano VST plugins, but if realism is what you’re looking for, you’ll definitely want to look further into the Ivory II Grand Pianos. If you haven’t already guessed from the way the interface looks, The Grandeur is another piano VST plugin created by Native Instruments. With that said, it’s also very budget-friendly for the quality that you’ll receive. 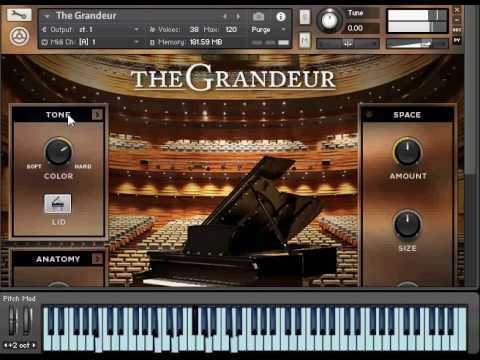 And similar to other Native Instruments piano VST plugins, The Grandeur too has a simple and easy to use interface. Tone, space, and other settings are easily seen and adjusted with simple twists of a knob. In this case, a classical concert grand piano has been sampled allowing you to produce great sounding contemporary music. If you’re interested in learning more, visit Native Instruments. 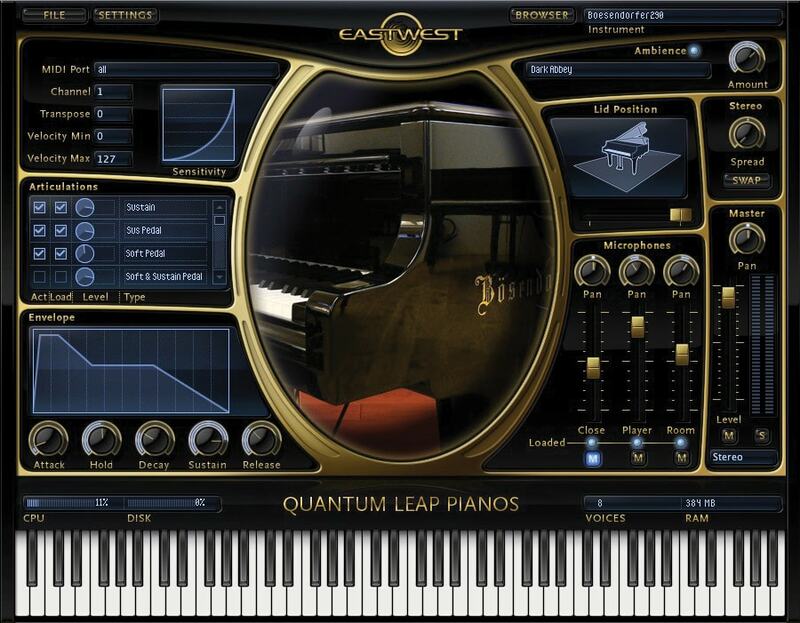 EastWest Quantum Leap Pianos is another amazing paid piano VST plugin that comes with four different sampled pianos. If you’re a fan of the Bechstein D-280, Steinway D, Bosendorfer 290, or Yamaha C7, you may just be a fan of this plugin as well. It comes with multiple settings for you to adjust according to your needs and even includes the ability to edit microphone positioning for further flexibility. Additionally, other settings available include envelope adjustment, articulation, ambience, and much more. If that’s not enough, hearing about their subscription plan may help. Unlike many other paid plugins, Quantum Leap Pianos does not require you to pay in full. Instead, you also have the ability to subscribe for a monthly fee until you make a decision on whether to purchase or not. For more information, visit EastWest’s website. 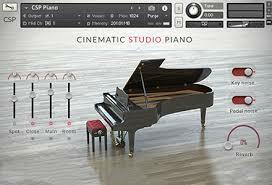 As you may be able to tell by the name, Cinematic Studio Piano is a fantastic plugin for cinematic production. Using a Yamaha C7 grand, this piano allows you to create quality cinematic music while including only the settings that matter most, such as microphone channels. There aren’t too many settings that are available, but there are just enough to allow for some level of fine tuning. To get a better understanding of the strengths of Cinematic Studio Piano, visit their website here. 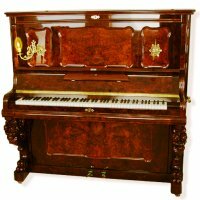 Have you ever wanted to have a huge selection of high quality pianos to use at your fingertips? Then Keyscape is that selection. Sampled pianos include the Wing Upright piano, Rhodes Classic Mark I, Wurlitzer 140B, and many more. Not only does Keyscape have a huge selection of pianos to choose from, but it also has something known as ‘duo’ sounds. This allows you to combine two instruments to create an entirely new sound. 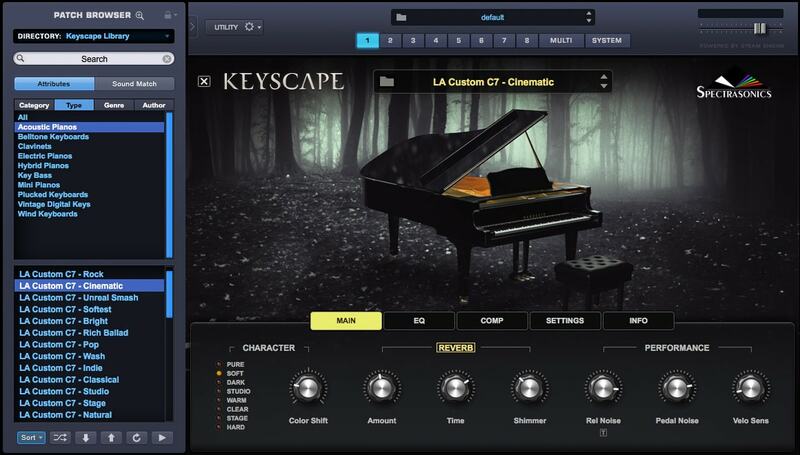 In addition to the large library, Keyscape also has an easy to use interface, similar to piano VST plugins released by Native Instruments. The bulk of settings are contained in various tabs at the bottom of the program and are adjusted with ease. If this plugin sounds useful to you, make sure you visit Spectrasonics for even more information. The Eighty Eight Ensemble 2 appears to be a favorite among many producers, and we aren’t surprised. The sampling was done well and with focus on accuracy. This allowed for a very realistic sounding piano VST plugin. 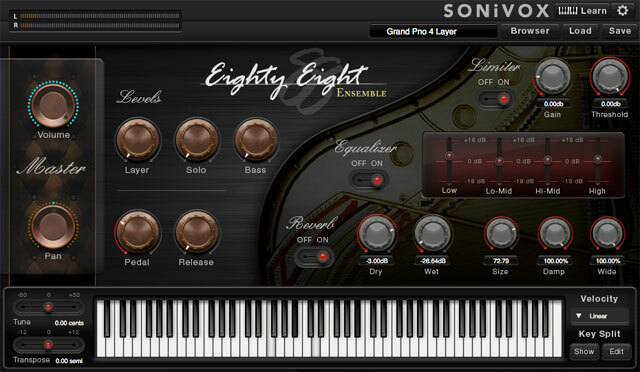 In addition to being able to create piano sounds, the Eighty Eight Ensemble 2 can also be used for sounds such as strings, synth pads, and choral pads. Whereas many plugins may have settings available on different tabs, the bulk of settings on the Eighty Eight Ensemble are all seen on the home screen. To learn more, visit SONiVOX. Just like TruePianos, 4FrontPiano is another great plugin, because it will quickly get you started making music. There is only a single piano module and no settings available for you to edit, truly making it ‘plug n play’. The timbre created represents an upright home piano, made through a hybrid process of sampling and synthesis. Due to the hybrid process used and there only being a single piano module, 4FrontPiano is extremely lightweight. This makes it easy on your computer while still being able to produce a realistic, natural sound. It’s also available completely for free on both macOS and Windows. Download and learn more here. 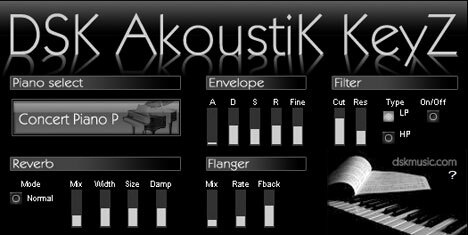 If you’re looking for a piano VST plugin that can replicate a grand piano, then AkoustiK KeyZ has you covered! You can easily choose from the three different pianos and quickly proceed to adjust the reverb, flanger, envelope, and filter according to your needs. It has a very simple interface that is easy to pick up and use. For more information, or to learn more about their other products, visit DSK Music. Keyzone Classic is another simple and free piano VST that is also highly rated. It’s sample based and pulls sounds from the Yamaha grand piano, Steinway grand piano, basic electric piano, and Rhodes. Featured in a simple fashion, you’ll have the ability to edit attack, decay, sustain, and a limited number of other settings. This helps with keeping the interface simple while still retaining some measure of sound shaping ability. In addition to having a great interface and amazing sounds, Keyzone Classic will also run on both macOS and Windows. Visit bitsonic for a free download! The Salamander Piano VST is one of our favorites, because it has such a unique sound. It’s great for use in multiple ways and can easily cut through a mix. Some settings are available such as attack, decay, and sustain. At the same time, it’s quite limited, which makes this VST simple and easy to use. It’s easy on the processor, and for those who play piano, the interface may make you feel at home. For a free download, click here! As you may be able to tell from the photo, there are only six settings available. This makes the Skerratt London Piano VST one of the most simple and easy, free piano VST plugins to use. Featured are core settings such as attack, decay, sustain, release, volume, and pan ability. Due to the simplicity, it’s also relatively lightweight and should run smoothly on most computers. To download on macOS or Windows, visit this link. If you’re not satisfied with any of the simple, lightweight, and free piano VST choices we’ve listed yet, you may want to consider trying DPiano-A. The settings aren’t overwhelming, and it comes with different piano presets allowing you to choose the type of sound you want. The interface has a digital feeling, similar to an electronic piano or MIDI keyboard. So if you own one of those, this design may interest you. If you have a Windows computer, you may want to consider trying it out here. Similar to the DPiano-A, the City Piano is another lightweight, simple, and free piano VST plugin. However, the City Piano has a focus on the Baldwin baby grand piano sound. If your production requires that instrument specifically, then this would be a great pickup to get started with. Featured are core settings such as attack, decay, sustain, release, volume and panning. It’ll run on macOS or Windows, so feel free to click here for a free download! When we say that the main feature of the General is simplicity, we really mean it. There are no settings that are adjustable within this free piano VST plugin, so you’ll have to rely on external audio effects to edit any details. On the plus side, you’ll be able to get started producing right away knowing that you have a great quality piano VST plugin to work with. For a Windows download, click here! The Iowa Piano is fantastic for live performances. It’s simple, easy to use, and is sampled from a Steinway grand piano. Similar to other free piano VST plugins that we have mentioned, external audio effects may help with editing the output due to the shortage of adjustable settings within the VST. However, that’s also what makes it great for live performances, since it’s readily useable. Again, similar to other free piano VST plugins, settings featured include attack, decay, sustain, release, volume and pan ability. For a Windows or macOS download, click here. Interestingly, this free piano VST only has one setting which acts like a sustain pedal when adjusted. Settings aside, Japan Piano comes with a basic grand piano sample, making this another great VST to use out of the box. Jazz Baby is another fantastic and free piano VST plugin. Although it has the term “Jazz” within the name, this piano VST can be used for other genres as well. The sound comes from an upright piano and is ready to go out of the box. As with other plugins that have been mentioned, external audio effects may be required for editing of the sound. This piano VST plugin created by MDA allows you to use a synth to recreate a piano’s sounds. It’s relatively simple to use and is just as light on the processor. The interface looks a bit more dated, but if you’re used to such interfaces, then this plugin may help you feel at home. 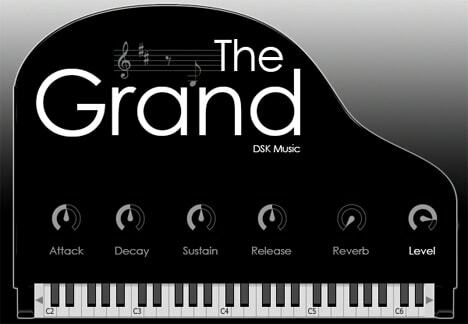 The last on our list of the 25 best piano VST plugins is The Grand. As with many of the other free piano VST plugins we’ve mentioned, it’s simple, lightweight, and easy to use. 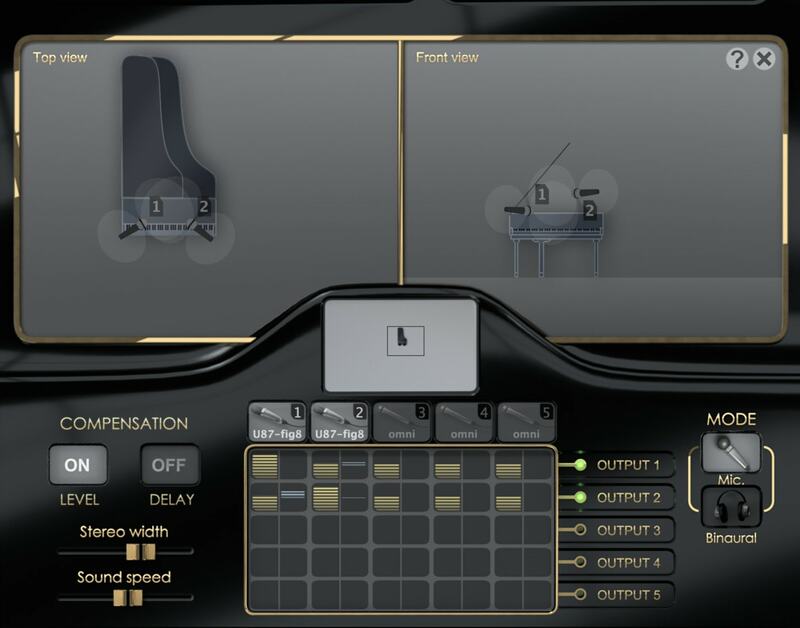 The Grand utilizes a sampled grand piano and has 4 velocity layers per note. In addition, it also comes with a typical ASDR envelope and a reverb. You can take a listen and learn more here. Finding the best piano VST plugins is important for your workflow, and it will ultimately help you produce higher quality music. With there being such an endless number of piano VST plugins available, we hope that you’ve found the information we’ve put together useful in picking the best one. We’d love to hear your thoughts on our list. Have you used any of the these pianos before? Do you feel that an unlisted piano VST plugin deserves a spot here? P.S. Having the best MIDI keyboard can be as important as picking the best piano VST!